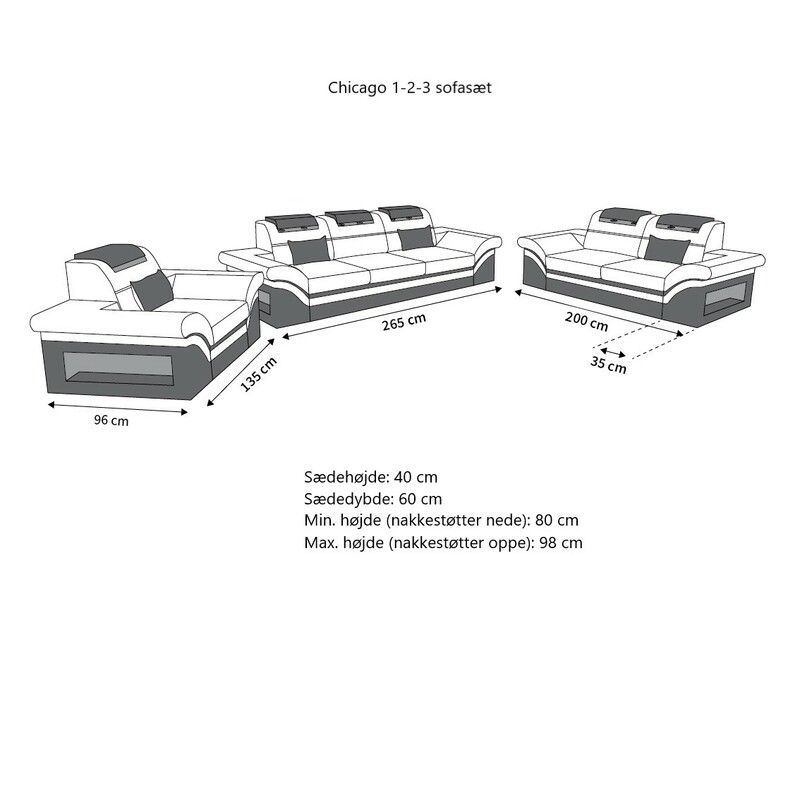 Would you like a one-seater that can compete with a couch in appearance and comfort? The Chicago fabric armchair fulfils all requirements to become your personal living environment. With its stylish fabric covers and two-tone design, it is a modern alternative to boring wing chairs. It can be combined perfectly with the two-seater from the series of the same name and the matching coffee table to form a sofa set. This way you stay flexible and still enjoy full comfort. When it comes to comfort, you can count on the Chicago chair. The spring core upholstery guarantees a firm and durable seat. Multi-adjustable headrests ensure that you sit relaxed. On the sides of the chair you will find practical storage compartments that are suitable for storing glasses, bottles and so on. The Chicago model also has LED lighting with colour change. We provide a practical TouchWheel remote control for easy switching on and off and changing colours. The Chicago armchair is also available with stool - naturally in the same tasteful design.